On 10 May 1945, the CO of the 59th Evacuation Hospital was assigned as Camp Surgeon of KZ-Dachau (Dachau Concentration Camp). A group of senior Officers, the Hospital Dietitian, and about 20 Enlisted Men were detailed to assist the staff. Later on, 8 Nurses were placed on Detached Service to work on the Typhus Ward (run by the US Typhus Commission). American doctors are carrying out Typhus tests, in order to try and control any further outbreak. Tests are run in renovated and cleaned barracks housing former Dachau inmates. 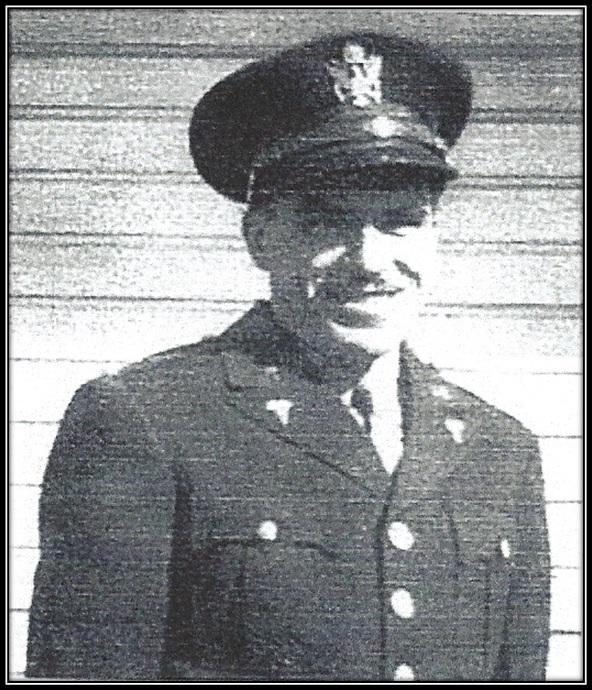 Picture taken early May 1945. The first frenzy of joy with the Liberation of the Dachau Concentration Camp on 29 April 1945 by the 42d Infantry Division (some pretend it was the 45th Infantry Division) was accompanied by unrestricted looting and wanton destruction. Available foodstores were plentiful for a short time, but with freedom, came unrest, and by what appears to be an almost superhuman effort, an International Prisoners’ Committee was set up by a mixed group of American – British – Canadian – Belgian Officers, to restore order and try and organize the camp. Work details had to be organized, hospitalization made available, kitchen crews appointed, food distribution arranged, and enough organization built up to allow the US Army Typhus Commission to arrange for vaccination and DDT dusting teams to treat the former inmates. 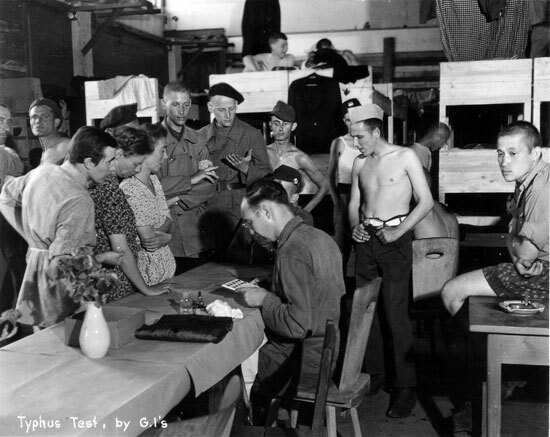 Personnel from the 66th Field Hospital reached one of the Dachau subcamps on 30 April, and would later also provide medical support, and several Seventh US Army trucks arrived with food and medical supplies the same day.